For buildings named Bell Telephone Laboratories, see Bell Laboratories Building (Manhattan). In 1880, the French government awarded Alexander Graham Bell the Volta Prize of 50,000 francs, approximately US$10,000 at that time (about $250,000 in current dollars) for the invention of the telephone. Bell used the award to fund the Volta Laboratory (Alexander Graham Bell Laboratory) in Washington, D.C., in collaboration with Sumner Tainter and Bell's cousin Chichester Bell. The laboratory is also variously known as the Volta Bureau, the Bell Carriage House, the Bell Laboratory and the Volta Laboratory. The laboratory focused on the analysis, recording, and transmission of sound. Bell used his considerable profits from the laboratory for further research and education to permit the "[increased] diffusion of knowledge relating to the deaf". This resulted in the founding of the Volta Bureau c. 1887, located at Bell's father's house at 1527 35th Street in Washington, D.C., where its carriage house became their headquarters in 1889. In 1893, Bell constructed a new building, close by at 1537 35th St., specifically to house the lab. The building was declared a National Historic Landmark in 1972. In 1884, the American Bell Telephone Company created the Mechanical Department from the Electrical and Patent Department formed a year earlier. In 1925, Western Electric Research Laboratories and part of the engineering department of the American Telephone & Telegraph company (AT&T) were consolidated to form Bell Telephone Laboratories, Inc., as a separate entity. The first president of research was Frank B. Jewett, who stayed there until 1940. Ownership of Bell Laboratories was evenly split between AT&T and the Western Electric Company. Its principal work was to plan, design, and support the equipment that Western Electric built for Bell System operating companies. This included everything from telephones, telephone exchange switches, and transmission equipment. Bell Labs also carried out consulting work for the Bell Telephone Company and U.S. government work. A few workers were assigned to basic research, and this attracted much attention, especially since they produced several Nobel Prize winners. Until the 1940s, the company's principal locations were in and around the Bell Labs Building in New York City, but many of these were moved to suburban areas of New Jersey. Among the later Bell Laboratories locations in New Jersey were Murray Hill, Holmdel, Crawford Hill, the Deal Test Site, Freehold, Lincroft, Long Branch, Middletown, Neptune, Princeton, Piscataway, Red Bank, and Whippany. Of these, Murray Hill and Crawford Hill remain in existence (the Piscataway and Red Bank locations were transferred to and are now operated by Telcordia Technologies and the Whippany site was purchased by Bayer). The largest grouping of people in the company was in Illinois, at Naperville-Lisle, in the Chicago area, which had the largest concentration of employees (about 11,000) prior to 2001. There also were groups of employees in Indianapolis, Indiana; Columbus, Ohio; North Andover, Massachusetts; Allentown, Pennsylvania; Reading, Pennsylvania; and Breinigsville, Pennsylvania; Burlington, North Carolina (1950s–1970s, moved to Greensboro 1980s) and Westminster, Colorado. Since 2001, many of the former locations have been scaled down or closed. The Holmdel site, a 1.9 million square foot structure set on 473 acres, was closed in 2007. The mirrored-glass building was designed by Eero Saarinen. In August 2013, Somerset Development bought the building, intending to redevelop it into a mixed commercial and residential project. The prospects of success are clouded by the difficulty of readapting Saarinen's design and by the current glut of aging and abandoned office parks. At its peak, Bell Laboratories was the premier facility of its type, developing a wide range of revolutionary technologies, including radio astronomy, the transistor, the laser, information theory, the operating system Unix, the programming languages C and C++. Eight Nobel Prizes have been awarded for work completed at Bell Laboratories. 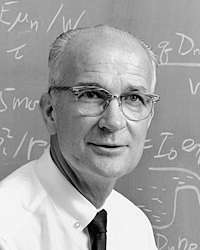 1937: Clinton J. Davisson shared the Nobel Prize in Physics for demonstrating the wave nature of matter. 1956: John Bardeen, Walter H. Brattain, and William Shockley received the Nobel Prize in Physics for inventing the first transistors. 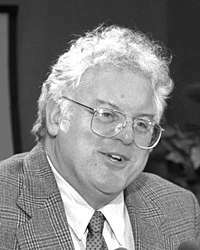 1977: Philip W. Anderson shared the Nobel Prize in Physics for developing an improved understanding of the electronic structure of glass and magnetic materials. 1978: Arno A. Penzias and Robert W. Wilson shared the Nobel Prize in Physics. 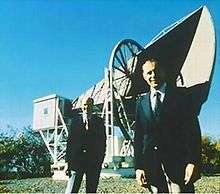 Penzias and Wilson were cited for their discovering cosmic microwave background radiation, a nearly uniform glow that fills the Universe in the microwave band of the radio spectrum. 1997: Steven Chu shared the Nobel Prize in Physics for developing methods to cool and trap atoms with laser light. 1998: Horst Störmer, Robert Laughlin, and Daniel Tsui, were awarded the Nobel Prize in Physics for discovering and explaining the fractional quantum Hall effect. 2009: Willard S. Boyle, George E. Smith shared the Nobel Prize in Physics with Charles K. Kao. Boyle and Smith were cited for inventing charge-coupled device (CCD) semiconductor imaging sensors. 2014: Eric Betzig shared the Nobel Prize in Chemistry for his work in super-resolved fluorescence microscopy which he began pursuing while at Bell Labs. Simplified evolution of Unix systems. The Mach kernel was a fork from BSD 4.3 that led to NeXTSTEP / OpenStep, upon which macOS and iOS is based. 1968: Richard Hamming for his work on numerical methods, automatic coding systems, and error-detecting and error-correcting codes. 1983: Ken Thompson and Dennis Ritchie for their work on operating system theory, and for developing Unix. During its first year of operation, facsimile (fax) transmission, invented elsewhere, was first demonstrated publicly by the Bell Laboratories. In 1926, the laboratories invented an early example synchronous-sound motion picture system, in competition with Fox Movietone and DeForest Phonofilm. 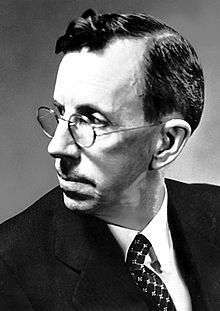 In 1924, Bell Labs physicist Walter A. Shewhart proposed the control chart as a method to determine when a process was in a state of statistical control. Shewhart's methods were the basis for statistical process control (SPC): the use of statistically based tools and techniques to manage and improve processes. This was the origin of the modern quality movement, including Six Sigma. In 1927, a Bell team headed by Herbert E. Ives successfully transmitted long-distance 128-line television images of Secretary of Commerce Herbert Hoover from Washington to New York. In 1928 the thermal noise in a resistor was first measured by John B. Johnson, and Harry Nyquist provided the theoretical analysis; this is now termed Johnson noise. During the 1920s, the one-time pad cipher was invented by Gilbert Vernam and Joseph Mauborgne at the laboratories. Bell Labs' Claude Shannon later proved that it is unbreakable. Reconstruction of the directional antenna used in the discovery of radio emission of extraterrestrial origin by Karl Guthe Jansky at Bell Telephone Laboratories in 1932. In 1931, a foundation for radio astronomy was laid by Karl Jansky during his work investigating the origins of static on long-distance shortwave communications. He discovered that radio waves were being emitted from the center of the galaxy. In 1931 and 1932, experimental high fidelity, long playing, and even stereophonic recordings were made by the labs of the Philadelphia Orchestra, conducted by Leopold Stokowski. In 1933, stereo signals were transmitted live from Philadelphia to Washington, D.C. In 1937, the vocoder, the first electronic speech synthesizer was invented and demonstrated by Homer Dudley. Bell researcher Clinton Davisson shared the Nobel Prize in Physics with George Paget Thomson for the discovery of electron diffraction, which helped lay the foundation for solid-state electronics. The first transistor, a point-contact germanium device, was invented at Bell Laboratories in 1947. This image shows a replica. In the early 1940s, the photovoltaic cell was developed by Russell Ohl. In 1943, Bell developed SIGSALY, the first digital scrambled speech transmission system, used by the Allies in World War II. Bell Labs Quality Assurance Department gave the world and the United States such statisticians as Walter A. Shewhart, W. Edwards Deming, Harold F. Dodge, George D. Edwards, Harry Romig, R. L. Jones, Paul Olmstead, E.G.D. Paterson, and Mary N. Torrey. During World War II, Emergency Technical Committee - Quality Control, drawn mainly from Bell Labs' statisticians, was instrumental in advancing Army and Navy ammunition acceptance and material sampling procedures. In 1947, the transistor, probably the most important invention developed by Bell Laboratories, was invented by John Bardeen, Walter Houser Brattain, and William Bradford Shockley (and who subsequently shared the Nobel Prize in Physics in 1956). In 1947, Richard Hamming invented Hamming codes for error detection and correction. For patent reasons, the result was not published until 1950. In 1948, "A Mathematical Theory of Communication", one of the founding works in information theory, was published by Claude Shannon in the Bell System Technical Journal. It built in part on earlier work in the field by Bell researchers Harry Nyquist and Ralph Hartley, but it greatly extended these. Bell Labs also introduced a series of increasingly complex calculators through the decade. Shannon was also the founder of modern cryptography with his 1949 paper Communication Theory of Secrecy Systems. Model I: A Complex Number Calculator, completed January 1940, for doing calculations of complex numbers. See George Stibitz. In 1952, William Gardner Pfann revealed the method of zone melting which enabled semiconductor purification and level doping. The 1950s also saw developmental activity based upon information theory. The central development was binary code systems. Efforts concentrated more precisely on the Laboratories' prime mission of supporting the Bell System with engineering advances including N-carrier, TD Microwave radio relay, Direct Distance Dialing, E-repeaters, Wire spring relays, and improved switching systems. Maurice Karnaugh, in 1953, developed the Karnaugh map as a tool to facilitate management of Boolean algebraic expressions. In 1954, The first modern solar cell was invented at Bell Laboratories. As for the spectacular side of the business, in 1956 TAT-1, the first transatlantic telephone cable was laid between Scotland and Newfoundland, in a joint effort by AT&T, Bell Laboratories, and British and Canadian telephone companies. A year later, in 1957, MUSIC, one of the first computer programs to play electronic music, was created by Max Mathews. New greedy algorithms developed by Robert C. Prim and Joseph Kruskal, revolutionized computer network design. In 1958, the laser was first described, in a technical paper by Arthur Schawlow and Charles Hard Townes. In December 1960, Ali Javan and his associates William Bennett and Donald Heriot successfully operated the first gas laser, the first continuous-light laser, operating at an unprecedented accuracy and color purity. Also in 1960, Dawon Kahng and Martin Atalla invented the metal oxide semiconductor field-effect transistor (MOSFET); the MOSFET has achieved electronic hegemony and sustains the large-scale integrated circuits (LSIs) underlying today's information society. In 1962, the electret microphone was invented by Gerhard M. Sessler and James Edward Maceo West. Also in 1962, John R. Pierce's vision of communications satellites was realized by the launch of Telstar. In 1964, the Carbon dioxide laser was invented by Kumar Patel. In 1965, Penzias and Wilson discovered the Cosmic Microwave Background, for which they were awarded the Nobel Prize in Physics in 1978. Frank W. Sinden, Edward E. Zajac, Kenneth C. Knowlton, and A. Michael Noll made computer-animated movies during the early to mid-1960s. 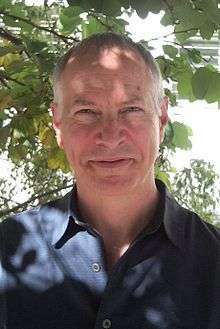 Ken C. Knowlton invented the computer animation language BEFLIX. The first digital computer art was created in 1962 by Noll. In 1966, Orthogonal frequency-division multiplexing (OFDM), a key technology in wireless services, was developed and patented by R. W. Chang. In 1968, Molecular beam epitaxy was developed by J.R. Arthur and A.Y. Cho; molecular beam epitaxy allows semiconductor chips and laser matrices to be manufactured one atomic layer at a time. In 1969, the operating system Unix was created by Dennis Ritchie and Ken Thompson. From 1969 to 1971, Aaron Marcus, the first graphic designer in the world to work with computer graphics, researched, designed, and programmed a prototype interactive page-layout system for the Picturephone. In 1969, the charge-coupled device (CCD) was invented by Willard Boyle and George E. Smith, for which they were awarded the Nobel Prize in Physics in 2009. In the 1960s, the New York City site was sold and became the Westbeth Artists Community complex. The 1970s and 1980s saw more and more computer-related inventions at the Bell Laboratories as part of the personal computing revolution. In 1972, Dennis Ritchie developed the compiled programming language C as a replacement for the interpreted language B which was then used in a worse is better rewrite of the operating system Unix (also developed at Bell Laboratories by Ritchie and Ken Thompson). Also, the language AWK was designed and implemented by Alfred Aho, Peter Weinberger, and Brian Kernighan of Bell Laboratories. In 1970, A. Michael Noll invented a tactile, force-feedback system, coupled with interactive stereoscopic computer display. In 1971, an improved task priority system for computerized telephone exchange switching systems for telephone traffic was invented by Erna Schneider Hoover, who received one of the first software patents for it. In 1976, Optical fiber systems were first tested in Georgia and in 1980, the first single-chip 32-bit microprocessor, the Bellmac 32A was demonstrated. It went into production in 1982. The 1970s also saw a major central office technology evolve from crossbar electromechanical relay-based technology and discrete transistor logic to Bell Labs-developed thick film hybrid and transistor-transistor logic (TTL), stored program-controlled switching systems; 1A/#4 TOLL Electronic Switching Systems (ESS) and 2A Local Central Offices produced at the Bell Labs Naperville and Western Electric Lisle, Illinois facilities. This technology evolution dramatically reduced floor space needs. The new ESS also came with its own diagnostic software that needed only a switchman and several frame technicians to maintain. The technology was often touted in the Bell Labs Technical Journals and Western Electric magazine (WE People). In 1980, the TDMA and CDMA digital cellular telephone technology was patented. In 1982, Fractional quantum Hall effect was discovered by Horst Störmer and former Bell Laboratories researchers Robert B. Laughlin and Daniel C. Tsui; they consequently won a Nobel Prize in 1998 for the discovery. In 1985, the programming language C++ was developed by Bjarne Stroustrup as an extension to the original C language, also developed at Bell Laboratories. In 1984, the first photoconductive antennas for picosecond electromagnetic radiation were demonstrated by Auston and others. This type of antenna became an important component in terahertz time-domain spectroscopy. In 1984, Karmarkar's algorithm for linear programming was developed by mathematician Narendra Karmarkar. Also in 1984, a divestiture agreement signed in 1982 with the American Federal government forced the break-up of AT&T: Bellcore (now Telcordia Technologies) was split off from Bell Laboratories to provide the same R&D functions for the newly created local exchange carriers. AT&T also was limited to using the Bell trademark only in association with Bell Laboratories. Bell Telephone Laboratories, Inc. became a wholly owned company of the new AT&T Technologies unit, the former Western Electric. The 5ESS Switch was developed during this transition. In 1985, laser cooling was used to slow and manipulate atoms by Steven Chu and team. In 1985, the modeling language A Mathematical Programming Language AMPL was developed by Robert Fourer, David M. Gay and Brian Kernighan at Bell Laboratories. Also in 1985, Bell Laboratories was awarded the National Medal of Technology "For contribution over decades to modern communication systems". During the 1980s, the operating system Plan 9 from Bell Labs was developed as a replacement for Unix, which was also developed at Bell Labs in 1969. Also, the Radiodrum, an electronic music instrument played in three space dimensions was invented. In 1988, TAT-8 became the first fiber optic transatlantic cable. In 1991, the 56K modem technology was patented by Nuri Dağdeviren and his team. In 1994, the quantum cascade laser was invented by Federico Capasso, Alfred Cho, Jerome Faist and their collaborators and was later greatly improved by the innovations of Claire Gmachl. Also in 1994, Peter Shor devised his quantum factorization algorithm. In 1996, SCALPEL electron lithography, which prints features atoms wide on microchips, was invented by Lloyd Harriott and his team. 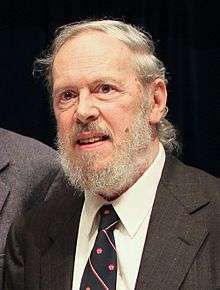 The operating system Inferno, an update of Plan 9, was created by Dennis Ritchie with others, using the then-new concurrent programming language Limbo. A high performance database engine (Dali) was developed which became DataBlitz in its product form. In 1996, AT&T spun off Bell Laboratories, along with most of its equipment manufacturing business, into a new company named Lucent Technologies. AT&T retained a small number of researchers who made up the staff of the newly created AT&T Labs. In 1997, the smallest then-practical transistor (60 nanometers, 182 atoms wide) was built. In 1998, the first optical router was invented. 2000 was an active year for the Laboratories, in which DNA machine prototypes were developed; progressive geometry compression algorithm made widespread 3-D communication practical; the first electrically powered organic laser invented; a large-scale map of cosmic dark matter was compiled, and the F-15 (material), an organic material that makes plastic transistors possible, was invented. 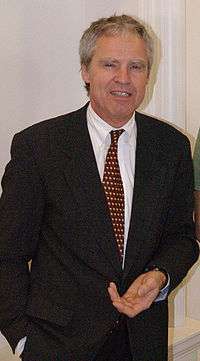 In 2002, physicist Jan Hendrik Schön was fired after his work was found to contain fraudulent data. It was the first known case of fraud at Bell Labs. In 2003, the New Jersey Institute of Technology Biomedical Engineering Laboratory was created at Murray Hill, New Jersey. In 2005, Jeong H. Kim, former President of Lucent's Optical Network Group, returned from academia to become the President of Bell Laboratories. In April 2006, Bell Laboratories' parent company, Lucent Technologies, signed a merger agreement with Alcatel. On December 1, 2006, the merged company, Alcatel-Lucent, began operations. This deal raised concerns in the United States, where Bell Laboratories works on defense contracts. A separate company, LGS Innovations, with an American board was set up to manage Bell Laboratories' and Lucent's sensitive U.S. Government contracts. In December 2007, it was announced that the former Lucent Bell Laboratories and the former Alcatel Research and Innovation would be merged into one organization under the name of Bell Laboratories. This is the first period of growth following many years during which Bell Laboratories progressively lost manpower due to layoffs and spin-offs making the company shut down for a short period of time. As of July 2008, however, only four scientists remained in physics research, according to a report by the scientific journal Nature. On August 28, 2008, Alcatel-Lucent announced it was pulling out of basic science, material physics, and semiconductor research, and it will instead focus on more immediately marketable areas, including networking, high-speed electronics, wireless networks, nanotechnology and software. In 2009, Willard Boyle and George Smith were awarded the Nobel Prize in Physics for the invention and development of the charge-coupled device (CCD). In February 2013, Gee Rittenhouse, former Head of Research returned from his position as Chief Operating Officer of Alcatel-Lucent's Software, Services, and Solutions business to become the 12th President of Bell Labs. On November 4, 2013, Alcatel-Lucent announced the appointment of Marcus Weldon as President of Bell Labs. His stated charter was to return Bell Labs to the forefront of innovation in Information and communications technology by focusing on solving the key industry challenges, as was the case in the great Bell Labs innovation eras in the past. In July 2014, Bell Labs announced it had broken "the broadband Internet speed record" with a new technology dubbed XG-FAST that promises 10 gigabits per second transmission speeds. In 2014, Eric Betzig shared the Nobel Prize in Chemistry for his work in super-resolved fluorescence microscopy which he began pursuing while at Bell Labs in the Semiconductor Physics Research Department. On April 15, 2015, Nokia agreed to acquire Alcatel-Lucent, the Bell Labs' parent company, in a share exchange worth $16.6 billion. Their first day of combined operations was January 14, 2016. In September, 2016 Nokia Bell Labs, along with Deutsche Telekom T-Labs and the Technical University of Munich (TUM) have achieved 1 Terabit/s data rate by improving transmission capacity and spectral efficiency in an optical communications field trial with a new modulation technique. Arno Allan Penzias Discovered background radiation, with Robert W. Wilson, originating from the Big Bang and won the Nobel Prize in 1978 for that. Bjarne Stroustrup Was the head of Bell Labs Large-scale Programming Research department, from its creation until late 2002 and created the C++ programming language. Claude Shannon Founded information theory with the publishing of A Mathematical Theory of Communication in 1948. 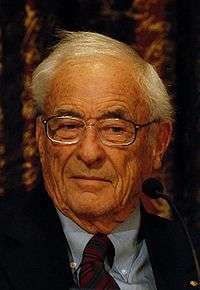 He is perhaps equally well known for founding both digital computer and digital circuit design theory in 1937, when, as a 21-year-old master's degree student at the Massachusetts Institute of Technology (MIT), he wrote his thesis demonstrating that electrical applications of Boolean algebra could construct any logical, numerical relationship. Shannon contributed to the field of cryptanalysis for national defense during World War II, including his basic work on codebreaking and secure telecommunications. For two months early in 1943, Shannon came into contact with the leading British cryptanalyst and mathematician Alan Turing. Shannon and Turing met at teatime in the cafeteria. Turing showed Shannon his 1936 paper that defined what is now known as the "Universal Turing machine"; this impressed Shannon, as many of its ideas complemented his own. Clinton Davisson Davisson and Lester Germer performed an experiment showing that electrons were diffracted at the surface of a crystal of nickel. This celebrated Davisson-Germer experiment confirmed the de Broglie hypothesis that particles of matter have a wave-like nature, which is a central tenet of quantum mechanics. Their observation of diffraction allowed the first measurement of a wavelength for electrons. shared the Nobel Prize in 1937 with George Paget Thomson, who independently discovered electron diffraction at about the same time as Davisson. Daniel Tsui Along with Robert Laughlin and Horst Störmer discovered new form of quantum fluid. Dennis Ritchie Created the C programming language and, with long-time colleague Ken Thompson, the Unix operating system. Elizabeth Bailey Worked in technical programming at Bell Laboratories from 1960 to 1972, before transferring to the economic research section from 1972 to 1977. Eric Betzig An American physicist who worked to develop the field of fluorescence microscopy and photoactivated localization microscopy. He was awarded the 2014 Nobel Prize in Chemistry for "the development of super-resolved fluorescence microscopy" along with Stefan Hell and fellow Cornell alumnus William E. Moerner. Eric Schmidt Did a complete re-write with Mike Lesk of Lex, a program to generate lexical analysers for the Unix computer operating system. George E. Smith Led research into novel lasers and semiconductor devices. During his tenure, Smith was awarded dozens of patents and eventually headed the VLSI device department. 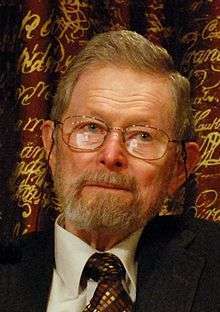 Received the Nobel Prize in 2009 for his invention of the digital eye on cameras he invented with Willard Boyle in 1969. Gil Amelio Amelio was on the team that demonstrated the first working charge-coupled device (CCD). Worked at Fairchild Semiconductor, and the semiconductor division of Rockwell International but is best remembered as a CEO of National Semiconductor and Apple Inc.
Harvey Fletcher "father of stereophonic sound". As Director of Research at Bell Labs, he oversaw research in electrical sound recording, including more than 100 stereo recordings with conductor Leopold Stokowski in 1931–1932. Horst Ludwig Störmer Along with Robert Laughlin and Daniel Tsui discovered new form of quantum fluid. 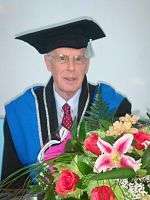 John Hopcroft Received the Turing Award jointly with Robert Tarjan in 1986 for fundamental achievements in the design and analysis of algorithms and data structures. John Mashey Worked on the PWB/UNIX operating system at Bell Labs from 1973 to 1983, authoring the PWB shell, also known as the "Mashey Shell". John Bardeen With William Shockley and Walter Brattain, the three scientists invented the point contact transistor in 1947 and were jointly awarded the 1956 Nobel Prize in Physics. Ken Thompson designed and implemented the original Unix operating system. He also invented the B programming language, the direct predecessor to the C programming language, and was one of the creators and early developers of the Plan 9 operating systems. Since 2006, Thompson has worked at Google, where he co-invented the Go programming language. Max Mathews wrote MUSIC, the first widely used program for sound generation, in 1957. Persi Diaconis Known for tackling mathematical problems involving randomness and randomization, such as coin flipping and shuffling playing cards. 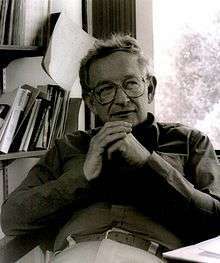 Philip Warren Anderson In 1977 Anderson was awarded the Nobel Prize in Physics for his investigations into the electronic structure of magnetic and disordered systems, which allowed for the development of electronic switching and memory devices in computers. Richard Hamming created a family of mathematical error-correcting code, which are called Hamming codes. 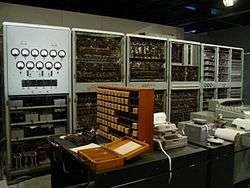 Programmed one of the earliest computers, the IBM 650, and with Ruth A. Weiss developed the L2 programming language, one of the earliest computer languages, in 1956. Robert Laughlin Along with Horst Störmer and Daniel Tsui discovered new form of quantum fluid. Robert Tarjan Received the Turing Award jointly with John Hopcroft in 1986 for fundamental achievements in the design and analysis of algorithms and data structures. Robert W. Wilson Discovered background radiation, with Arno Allan Penzias, originating from the Big Bang and won the Nobel Prize in 1978 for that. Steven Chu known for his research at Bell Labs and Stanford University in cooling and trapping of atoms with laser light, which won him the Nobel Prize in Physics in 1997, along with his scientific colleagues Claude Cohen-Tannoudji and William Daniel Phillips. Stuart Feldman Creator of the computer software program make for UNIX systems. He was also an author of the first Fortran 77 compiler, and he was part of the original group at Bell Labs that created the Unix operating system. 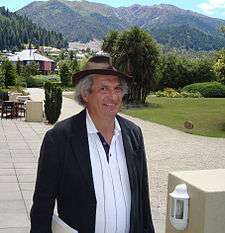 Trevor Hastie Known for his contributions to applied statistics, especially in the field of machine learning, data mining, and bioinformatics. Zhenan Bao Development of the first all plastic transistor, or organic field-effect transistors which allows for its use in electronic paper. Walter Houser Brattain With fellow scientists John Bardeen and William Shockley, invented the point-contact transistor in December, 1947. They shared the 1956 Nobel Prize in Physics for their invention. Willard Boyle share the 2009 Nobel Prize in Physics with George E. Smith for "the invention of an imaging semiconductor circuit—the CCD sensor, which has become an electronic eye in almost all areas of photography". William B. Snow made major contributions to acoustics from 1923-1940. Fellow of the Audio Engineering Society (AES), received its Gold Medal Award in 1968. William Shockley With John Bardeen and Walter Brattain, the three scientists invented the point contact transistor in 1947 and were jointly awarded the 1956 Nobel Prize in Physics. On May 20, 2014, Bell Labs announced the Bell Labs Prize, a competition for innovators to offer proposals in information and communication technologies, with cash awards of up to $100,000 for the grand prize. The Murray Hill campus features a 3000 square foot exhibit showcasing the technological discoveries and developments at Bell Labs. The exhibit is located just off the main lobby and is open to the public. George Stibitz—Bell Laboratories engineer—"father of the modern digital computer"
Walter A. Shewhart—Bell Laboratories engineer—"father of statistical quality control"
Experiments in Art and Technology—A collaboration between artists and Bell Labs engineers & scientists to create new forms of art. 1 2 3 4 Bruce, Robert V. Bell: Alexander Bell and the Conquest of Solitude. Ithaca, New York: Cornell University Press, 1990. ISBN 0-8014-9691-8. ↑ "Volta Bureau". National Historic Landmark summary listing. National Park Service. Archived from the original on 2012-10-11. Retrieved 2008-05-10. ↑ "Volta Laboratory & Bureau". Washington D.C. National Register of Historic Places Travel Itinerary listing. National Park Service. Archived from the original on 12 May 2008. Retrieved 2008-05-10. ↑ "It's official! Bayer buys Alcatel-Lucent site in Hanover Twp.". The Hanover Eagle. Retrieved 21 May 2012. ↑ "Future takes shape for Bell Labs site". New York Times. Retrieved September 29, 2013. ↑ Leopold Stokowski, Harvey Fletcher, and the Bell Laboratories Experimental Recordings, stokowski.org. Retrieved 2012-03-01. ↑ "The Rise of C++ - Bell Labs". www.bell-labs.com. Retrieved 2016-05-13. ↑ New Jersey Nanotechnology Consortium. Profile Archived May 30, 2008, at the Wayback Machine. ↑ Geoff Brumfiel. "Access : Bell Labs bottoms out : Nature News". Nature.com. Archived from the original on 7 September 2008. Retrieved 2008-09-14. ↑ Ganapati, Priya (2008-08-27). "Bell Labs Kills Fundamental Physics Research". Wired. Archived from the original on 28 August 2008. Retrieved 2008-08-28. ↑ "Gee Rittenhouse to take over as President of world-famous research institution Bell Labs" (Press release). Paris: Alcatel-Lucent. February 18, 2013. Retrieved 2016-03-10. ↑ "Marcus Weldon appointed President of Alcatel-Lucent's Bell Labs to accelerate and unlock innovation as part of The Shift Plan" (Press release). Paris: Alcatel-Lucent. November 4, 2013. Retrieved 2016-03-10. ↑ "Alcatel-Lucent sets new world record broadband speed of 10 Gbps for transmission of data over traditional copper telephone lines" (Press release). Paris: Alcatel-Lucent. July 9, 2014. Retrieved 2016-03-10. ↑ "The Nobel Prize in Chemistry 2014". Nobel Media AB. 2014. Retrieved 2016-03-10. ↑ "Nokia and Alcatel-Lucent Combine to Create an Innovation Leader in Next Generation Technology and Services for an IP Connected World" (Press release). Helsinki & Paris: Nokia. April 15, 2015. Retrieved 2016-03-10. ↑ Scott, Mark; Jolly, David (April 15, 2015). "Nokia Agrees to $16.6 Billion Takeover of Alcatel-Lucent". The New York Times. Retrieved 2016-03-10. ↑ "Nokia celebrates first day of combined operations with Alcatel-Lucent" (Press release). Espoo, Finland: Nokia. January 14, 2016. Retrieved 2016-03-10. ↑ "Optical fiber transmits one terabit per second" (Press release). Tchnical University of Munich. 2016-09-16. Retrieved 2016-09-23. ↑ Barnaby J. Feder (August 13, 1981). "James Fisk, Bell Labs Executive And Leader In Radar, Dies At 70". New York Times. ↑ Huffman, Larry. "Stokowski, Harvey Fletcher, and the Bell Labs Experimental Recordings". www.stokowski.org. Retrieved February 17, 2014. ↑ William Ander Smith, The mystery of Leopold Stokowski. Fairleigh Dickinson Univ Press, 1990, p.175. ↑ Dolotta, T.A. ; Haight, R.C. ; Mashey, J.R. (July–August 1978). "The Programmer's Workbench" (PDF). Bell System Technical Journal. 57 (6 Part 2): 2177–2200. doi:10.1002/j.1538-7305.1978.tb02148.x. ↑ "Linux International". Li.org. Retrieved 2014-02-28. ↑ Tore Frängsmyr, ed. (1998). "Steven Chu Autobiography". The Nobel Prizes 1997. Les Prix Nobel. Stockholm: The Nobel Foundation. Retrieved 2007-06-25. ↑ Dagani, Ron (30 November 1998). "AN INNOVATION ENGINE FOR LUCENT". C&EN. Retrieved 23 February 2013. ↑ "Walter H. Brattain". IEEE Global History Network. IEEE. Retrieved 10 August 2011. ↑ "Archived copy". Archived from the original on 2016-03-08. Retrieved 2016-03-08. Jon Gertner. The Idea Factory: Bell Labs and the Great Age of American Innovation. ISBN 978-0143122791. Gleick, James. The Information: A History, a Theory, a Flood. Vintage Books, 2012, 544 pages. ISBN 978-1400096237. Interview with Jon Gertner, author of "The Idea Factory: Bell Labs and the Great Age of American Innovation. Video interview by Dave Iverson, KQED-FM Public Radio, San Francisco.